The following article on aging issues appeared in the j. – Jewish News of Northern California on February 20, 2018. 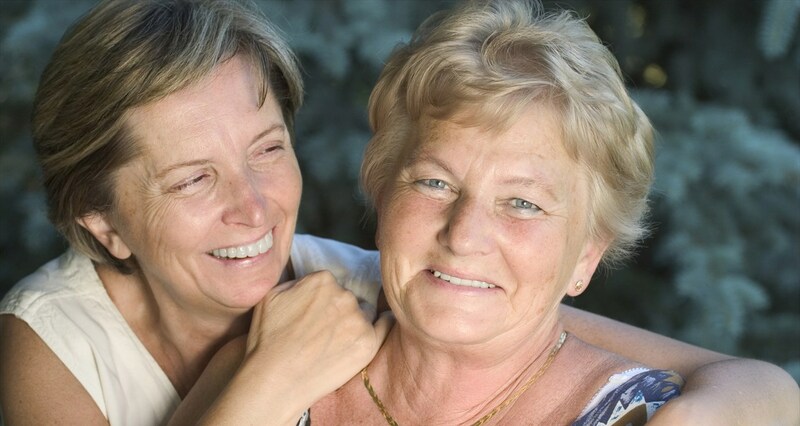 JFCS East Bay offers compassionate, professional, reliable, and personalized Home Care services! My Young Son Loves His Grandma. How Do I Explain Her Alzheimer’s to Him? Dear R.F. : Having a loved one with Alzheimer’s affects everyone in the family. Watching the progression of this disease can be frightening for adults, and confusing and scary for children. Although each child will react differently, reassurance and clear explanations with your son are key. One straightforward way to help him understand what is going on is to explain to him that just as he gets colds or tummy aches, Grandma has an illness that causes her to act differently and forget things. In an age-appropriate way, you can let him know that the brain is changing inside from the disease, while also reassuring him that the disease is not contagious. Using words that are easy to understand and encouraging questions from your son will make him feel included in this challenging journey. Your son will have a lot of feelings about this change in his life — and he likely will not know how to articulate them, or even want to. He could be concerned about his grandma or feel conflicted that all this attention is going in her direction. He could feel stigma that his grandma seems different from his friends’ grandmas. He may be uncomfortable that she is forgetful, acts strange at times and even seems unfriendly. Provide as much reassurance as possible that she still loves him, even as things are changing. And it’s extremely important to acknowledge his feelings of loss and grief. Preparing your son for the future is also important. If you will be caring for your mother in your home, explain the routine of care to your son as much as you can. Help him anticipate that there will be good days and bad days. Remind him that he is loved no matter what the future holds. Let him know that because of the disease, Grandma won’t remember names and will forget things. You can also share with him that it’s best not to correct her, because this will upset and frustrate her. If care will take place outside the home, you may want to frame what he can expect while visiting Grandma in a facility. If you notice that your son is withdrawing or has trouble talking about Grandma, try to open the conversation. Sharing some of your own feelings with him will normalize his nervousness, sadness and anger. Be aware that his emotions may be expressed in indirect ways, such as getting headaches or paying less attention to his schoolwork. If you are caring for your mom at home, your son may be reluctant to invite friends over or he may want to spend more time away from home. Keeping an eye out for this type of behavior will help you gauge what he’s feeling and open up the opportunity to gently point out what you observed and talk with him about what he’s going through. To boost your son’s understanding of what’s going on, you may want to use additional tools such as children’s books that tell stories of a loved one having Alzheimer’s disease. The Alzheimer’s Association has created videos specifically for kids and teens that educate them on the stages of the disease; how the brain is affected with thinking, memory, and feelings; and how moods or personalities can change. And in the midst of all this change and sadness, there are still many activities your son and his grandmother can enjoy together. They can take walks in the neighborhood, garden or plant flowers together, or read a favorite book or story. Looking at photographs together and talking about Grandma’s interests and her life will help your son understand her more as a person. They can also listen to music or sing songs together. Demonstrations of affection and love are healing and powerful communicators for all generations, no matter the challenges we are going through. Giving hugs and holding hands can happen at any stage of the disease. From your clear explanations and frequent reassurance, your son will better understand what is happening with his grandma and know that you are all in this challenge together. You will anticipate difficulties together and you son will know that despite all the pressures you face, you still love him, even though you will be sad, frustrated and overwhelmed at times. A joint focus on what Grandma can still do, along with patience and understanding, will help your son get through this extremely challenging time. or call (510) 558-7800, ext. 257.